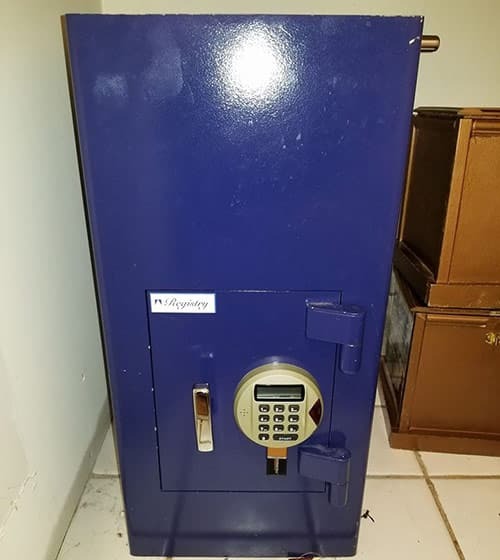 We changed the combinations on these two safes in a home in Gainesville, GA.
We reset the combination on this electronic keypad safe. Changing the lock combination on an electronic keypad or a manual dial are two different processes, but our technicians can do both quickly and with no damage to your safe. Electronic Keypad Locks: Depending on the brand and style of keypad lock, we’ll be able to update the code from the front of the safe by entering a special code to tell the lock to go into programming mode. Alternatively, if the safe is already open we can change the combination via the internal lock mechanism. Manual Dial Locks: If your dial combination is lost or not working, you may first want to check and make sure you’re turning the dial the correct way. In most cases you’ll have to turn Right, Left, Right and possibly as many as 4 turns initially, then 3 turns, then 2 turns to get the lock to unlock. Our locksmiths are equipped to service all the most popular brands of safes: Sentry, Hollon, Liberty, Champion, Inkas, Amsec, and many more. 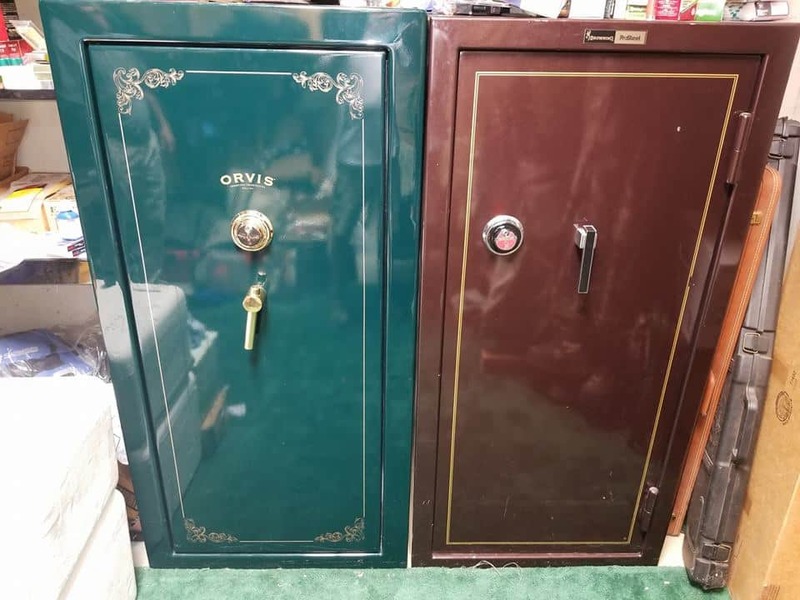 As soon as we get your call we will send our safe locksmith technician right over to change your combination and perform any other routine maintenance to ensure your safe is functioning at its best.